Dementia as life. That sounds all wrong, doesn’t it? Just look at the facts. Dementia is the umbrella term for a number of different organic brain diseases, which are progressive and terminal. Its symptoms affect thinking, memory, understanding, communication and physical functioning. Dementia can be the cause of enormous distress for those with the condition, their family and friends, as well as the source of fear among those not directly affected by it. It is the leading cause of death in the UK. Under-resourced services struggle to support people affected and their quality and availability vary significantly. There are no cures, and treatments are only of temporary and limited effectiveness. Dementia as life, surely only in the most negative sense. But in The Dementia Manifesto we present evidence and argue for a radical change of thinking where ‘dementia as life’ can not only be understood in more positive terms, but also as an essential way of viewing dementia. 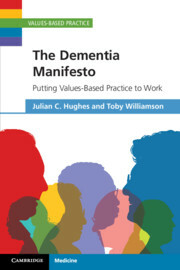 In part, the book is aimed at people who work in caring or supportive roles for people affected by dementia: it explains how an approach used elsewhere in health and social care, values-based practice (VBP), is very relevant and can be applied in dementia care. But the book does more than that. The manifesto it contains is aimed at anyone with an interest in dementia, ranging from government ministers, media and the general public, through to people living with the condition and their families. The manifesto recognises that dementia is a disease, that it can cause great distress, and that research into possible cures and treatment is important. But while understanding dementia as a disease is necessary, it is insufficient as a way of shaping how society reacts to the condition and can at times also lead to very unhelpful responses. That’s partly because the evidence base for what works in dementia care is still very limited and for this reason, together with the effect dementia has on individuals, families, services and wider society, different values can be found everywhere in dementia care, such as decision-making, respect for autonomy, issues of protection, truth-telling, having different beliefs, confidentiality and disclosure, and end of life care. The manifesto has three key principles. Dementia as humanity. Dementia is a unique touchstone for understanding self-identity, wishes, feelings beliefs and values, perceptions of truth, aspects of the human condition such as memory, ageing and mortality, a person’s place in society, and how we live together as people, families and communities. Dementia reveals values – the things that are important and guide actions – for individuals with the condition, for people who provide care and support to them, and how wider society responds. Dementia as humanity expresses these values of connectivity and interdependency. It is about the values of solidarity; it is not about ‘us’ (without dementia) and ‘them’ (with dementia) but about the recognition that we are ‘all in it together’. The inclusion and voice of people living with dementia, and family carers, in how services and communities respond to dementia is an example of this. Dementia as a disease and a disability. Dementia causes cognitive impairments which can be defined as disabilities under the law. 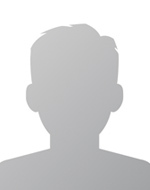 National (and international) legal frameworks that promote disability rights, such as the UK’s Equality Act, are based on a positive ‘social’ model of disability; it is society that must adjust to accommodate people with disabilities, rather than trying to ‘fix’ the individual to fit in with society. As a result of this, there have been very positive changes in attitudes, behaviours and physical environments regarding people with physical disabilities. While it remains important to try and find a cure or more effective treatments for dementia it is also important that people living with the condition have their rights to services, social protections, and opportunities to participate in society as equal citizens respected and upheld. A disease-based, biomedical definition of dementia cannot do this alone because it focuses on the illness; it must be combined with understanding dementia as a disability as well, to focus on the person and their place in society. The move towards dementia inclusive (or ‘dementia friendly’) communities is a step in the right direction. Dementia, VBP, and rights. Rights and values are everywhere in dementia care, including the first two principles of our manifesto. ‘Dementia as humanity, a disease and a disability’ is full of values (whether or not you agree with them). Disability and human rights are recurring themes in policy and practice, but also in people’s everyday lives, as the recent UK campaign about blue badge parking permits for people with cognitive impairments showed, which included people with dementia. Values-based practice can help practitioners and people affected by dementia be aware of different, often competing, values in dementia care, the dilemmas this can create, but also to work with these to find mutually acceptable solutions. VBP working in partnership with a rights-based approach, so that legal frameworks are helpful and used correctly, together with relevant evidence, will significantly enhance the quality of life and quality of care for people affected by dementia. Bearing these three principles in mind, the book then goes on to describe how a values-based practice (VBP) and rights-based approach can be applied in dementia care. The emphasis of VBP is not on which values are ‘right’ and which are ‘wrong’, but how good decisions can be made when there is a diversity or conflict in values among practitioners, people with dementia and carers. VBP does not define an outcome, but a process for balanced decision-making and mutual respect for shared and different values; chapters in the book describe the key elements of this process. Working in partnership with a rights-based approach means that VBP can also help where rights and values appear to be in conflict. Manifestos are usually proposals for change, though some may also describe what should be preserved. Some manifestoes have called for revolution, others are based upon change through elections or other, more peaceful means. The Dementia Manifesto calls for a change in thinking and practice in dementia care, and how dementia is perceived by society more widely. Yes, dementia is a disease but it must also be understood in relation to disability, rights, people, and humanity. We share the sentiment of one of the authors of a much more famous manifesto, when he said, ‘The philosophers have only interpreted the world. The point however, is to change it’. We hope that The Dementia Manifesto will inspire readers to change the world of dementia.